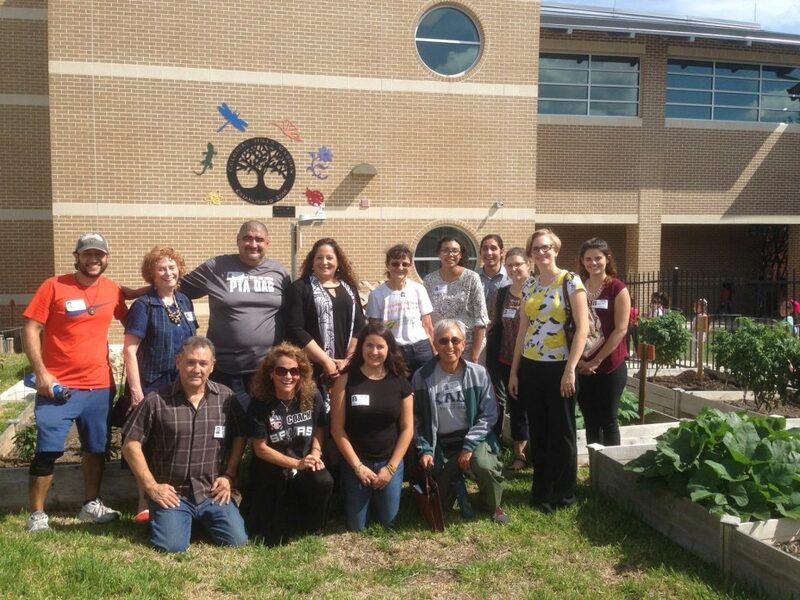 Though farm to school is a wildly successful national movement, it’s been slow to catch on in San Antonio. But, there is one San Antonio elementary school that is embracing this healthy initiative and leading the way for others to follow. 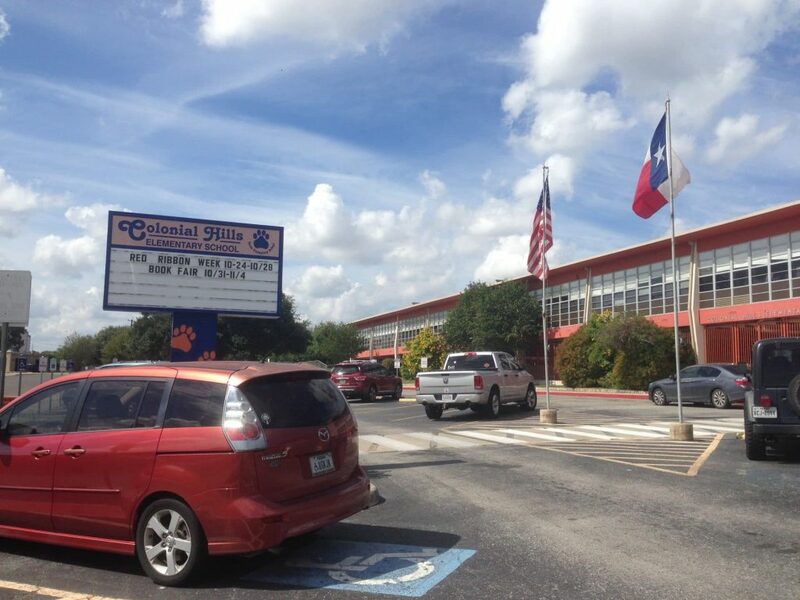 Colonial Hills Elementary, a North East ISD school, has galvanized the entire school to get healthy and focus on wellness and the farm to school activities are key to their success. 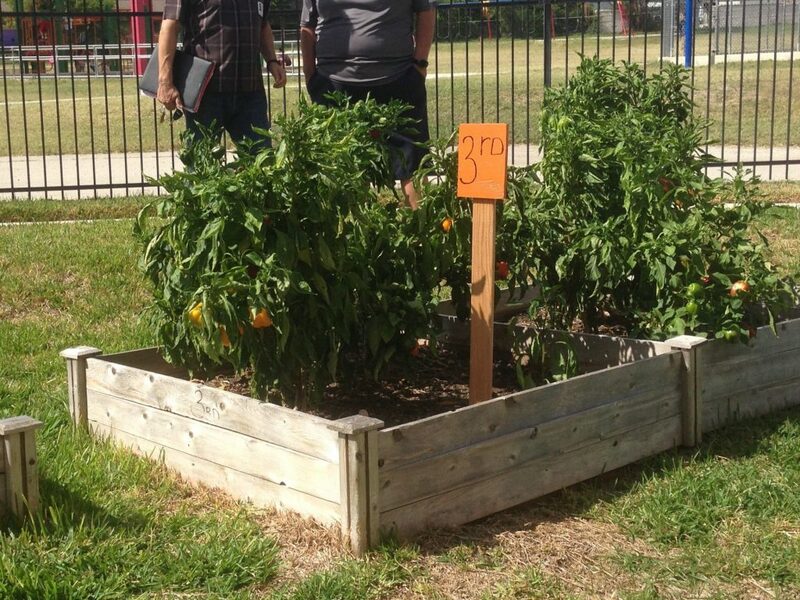 Over the last few years, this North East ISD school has received several grants that have catapulted their focus, energy and passion for garden-based learning as well as integrating health and wellness throughout the entire campus. 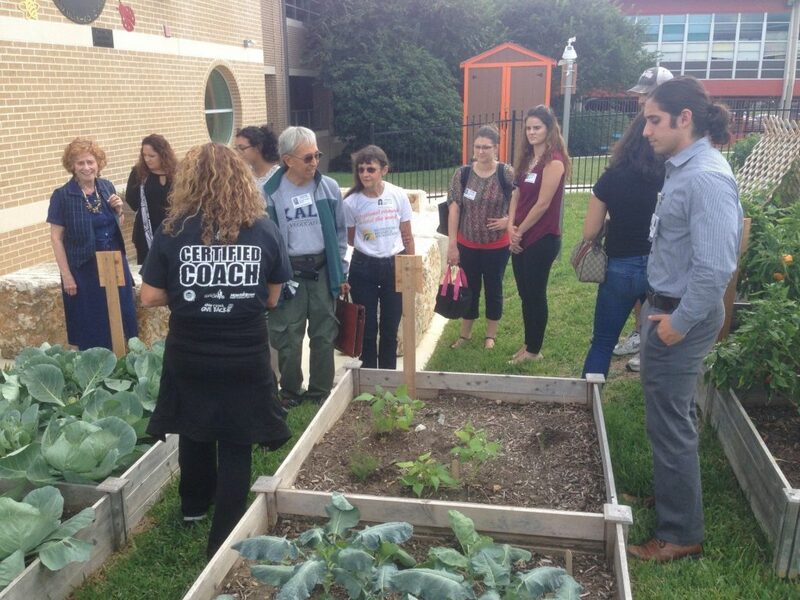 Much of this success would not be possible without Coach Pitts (pictured below, in the black Certified Coach t-shirt), a stalwart in promoting healthy eating habits, exercise, gardening and wellness and an excellent grant writer that brought the garden to life. 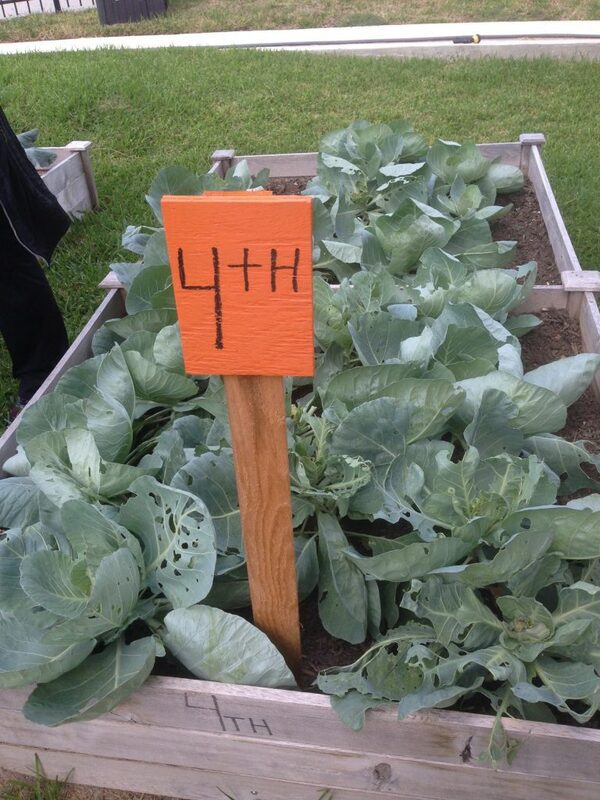 The garden is celebrated and adored by all grade levels and, when the cabbage was flourishing over the winter, they harvested enough to make cole slaw for every student to sample. Over and above the prolific garden, this school prohibits the consumption of cupcakes, soda and unhealthy foods on campus. It is this progressive thinking that helped the school attain silver status through the Alliance for a Healthier Generation program, a program dedicated to prevent childhood obesity. It is hoped that Colonial Hills will continue to shine a light on what is possible and validate the importance and benefits of a vibrant farm to school initiative in every school. After the October 2016 monthly FPCSA meeting, many members enjoyed a field trip to see farm to school in action at Colonial Hills Elementary.